Since 1999, Abesim has been involved in more than 10,000 projects for all kinds of individuals, businesses, public sector ... To ensure the confidentiality of our performances we like to keep the name of our customers confidential. Although, we would like to let you admire the locations of these projects. Here below, you can see where we have done our utmost to provide an added value on a solution-level as on a financial base. It never pays to involve emotions in any purchase. If you do not buy products solely with your head, you can be easily manipulated into making a wrong decision (even if it makes you happy for a short while). This applies especially to more valuable goods, not unlike… real estate. In 2017 and 2018, as the lead asbestos auditor of Abesim Polska Sp. z o.o., I was involved in a very thorough due-diligence process, that preceded the purchase of real-estate. This would not be anything out of the ordinary (as that is part of what Abesim specializes in), if not for the character and location of the real estate. The above could certainly exert emotional pressure on the less-cautious buyer. Our Client, a Poland-based company specializing in premium property development, contracted us to perform a check of a truly “premium” propery: a so-called “finca” – a holiday home overlooking one of the most beautiful landscapes of Mallorca. 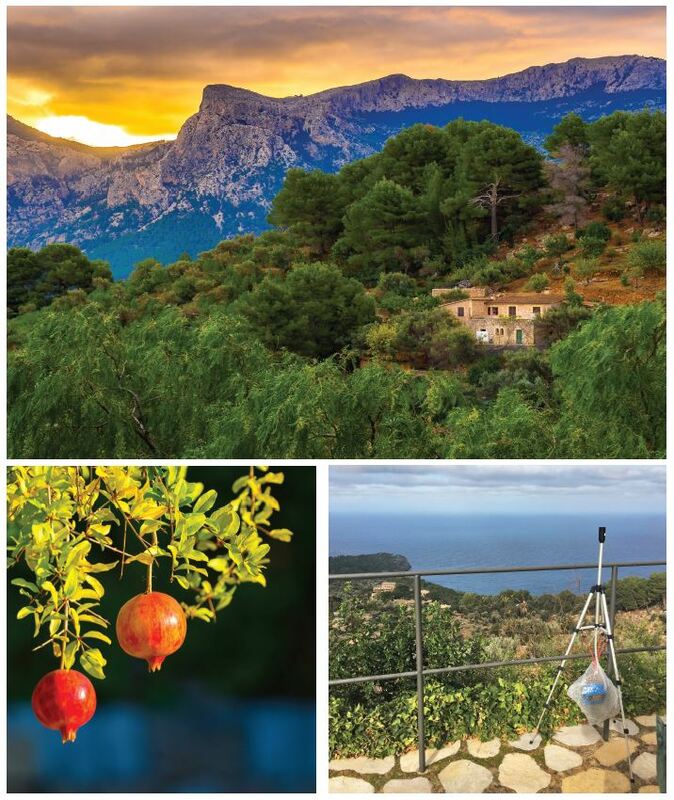 The spot was truly unique, perched on a rocky outcrop located high up on the northern face of one of the highest peaks of Serra de Tramuntana, looking down onto an orchard formed of ancient olive trees, equally ancient village and farmhouses, steep cliffs and the sea. When the conditions allowed, one could see continental Spain from there, adding to the general impression of the place – luxurious, but tasteful, laid back and relaxed, very different from the famed “holiday spots” of the Balearic Islands. Needless to say, being the experienced professionals that we are, we got to work – though in this case it required extra effort to not be thrown off track and into “holiday mode” J All the buildings at the property have been thoroughly checked for the presence of asbestos in building materials, settled dust and air (suspended dust). We also performed a series of air samples outside of the “finca” – on the property, in the neighboring villages and generally in the area of Serra de Tramuntana. As usual in such non-standard cases we were in for some surprises, but finally, after all analyses were in, we were happy to report a positive outcome of our audit to the client – the VIP’s visiting the property will be certainly safe in terms of exposure to asbestos. And we are left with the feeling of satisfaction from another professionally-performed (and well received) audit and some beautiful memories… Take a look for yourselves! During a settlement of bankruptcy, receivers has to take account of the rules and laws. Thus of the Soil Decree. There used to be some problems with this from time to time. Therefore, OVAM, the Flanders Public Waste Agency and the OVB, a cluster of Flemish lawyers signed the “protocol of receivers”. As a result, OVAM can now finance an exploratory soil investigation and estimate the pollution. In case the receiver cannot find a buyer, OVAM is able to buy the site for the symbolical amount of 1 euro and therefore is able to carry out these soil investigations and associated works. In this way, OVAM has bought 16 sites and was able to accelerate the speed of some remediation cases. ABESIM assists OVAM in managing and redevelopment of the sites in Hemiksem, Izegem, Liedekerke, Mechelen, Nieuwpoort, Ronse, Schoten, Wijnegem and Halle. The sites in Liedekerke and Izegem are already cleared up. Now they are looking for the best way to sell them. The other sites are still at the stage of soil investigation or remediation. 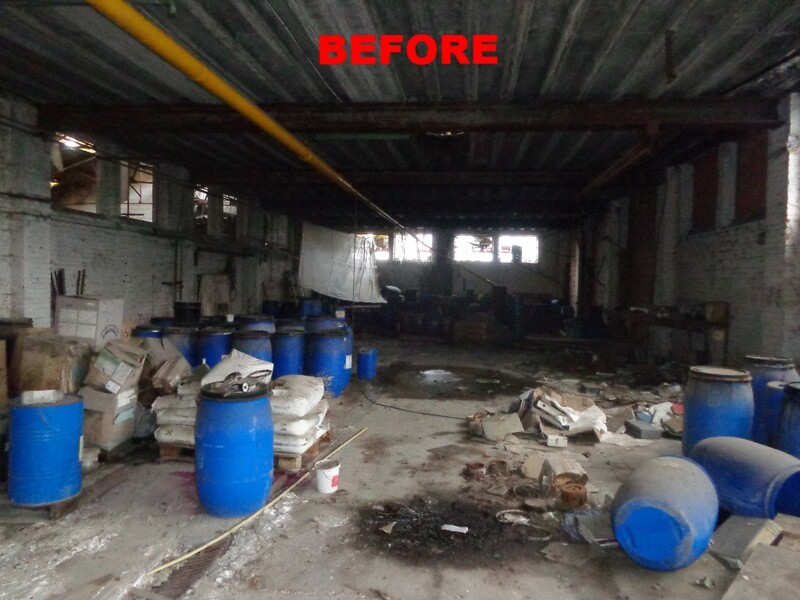 ABESIM is responsible for the analysis of asbestos, waste and demolition inventories, follows up the waste disposal and demolition work and considers various steps in terms of redevelopment of the site while focusing on a sustainable and socially relevant incorporation. We are pleased to announce that Abesim Polska Sp. 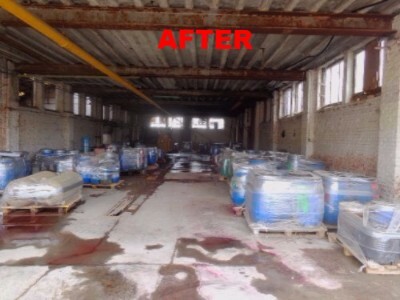 z o.o performed an asbestos audit of a property located in Konstancin - Jeziorna. The audit included checking the buildings located in the area, as well as the soil on the property – there was a significant risk of the whole area being contaminated by asbestos fibers – in connection to non-professional demolition of several of buildings by the previous owner, and ground levelling with the use of debris from demolition. On behalf of our client we developed a proprietary methodology of representative soil sampling, allowing for effective assessment of the potential contamination, and conducted a full check of the subject site.